Contact Momentum Marketing Consultants. We will develop strategies which may include web development, unique collateral, traditional broadcast, print, and outdoor media, digital campaigns, content or social media marketing or even special events. We’ll manage the execution, report results and adjust to improve. Do you attend conferences or trade shows? Are you sending out press releases or having press events? Do you know how your competition is reaching your audience? Are you associated with any non-profit organizations? Are you sponsoring local events or youth teams? Do you get offers and sales call from several media reps? We will help you. It’s part of the deal. 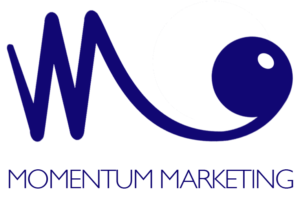 Momentum Marketing Consultants are experienced, industry-active marketing professionals. Additionally, the MomentumBoost team wants to help you grow. Our clients get an effective responsive website with engaging, sustained and creative content. Momentum marketers share carefully-selected images and professionally-produced videos with your audiences. You tell us where you want to go, and we’ll give you the momentum to get there. Furthermore, we consider your motivation, your culture, your vision and mission, your audiences and overall strategy. With that, we will build a plan then execute. And with Momentum, you get to your goals faster and further.